Trying to find pubs in Corby? You’ve come to the right place. We’ve got every pub and bar in the UK listed. Whether you’re looking for a pub or bar in Corby to play darts, somewhere to play pool or just want to have a look at a menu before you go, we can help. St James Road Snooker Club in St. James Industrial Estate is a family friendly pub. The pub serves food, it has free WiFi. St James Road Snooker Club has a dart board. The pub has a pool table, it shows football on TV. St James Road Snooker Club has terrestrial TV. 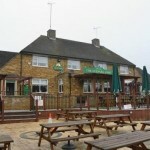 Cardigan Arms in Corby has a beer garden. The pub has a car park, it has disabled facilities. Cardigan Arms is a family friendly pub. The pub serves food, it has a function room that can be booked. Cardigan Arms has an outside area. The pub serves real ale, it has a smoking area. Cardigan Arms has free WiFi. The pub has a dart board, it has a pool table. Cardigan Arms has a big screen. The pub shows football on TV, it has Sky Sports. Cardigan Arms has terrestrial TV. The pub is a member of Cask Marque. Rockafellas in Corby has a beer garden. The pub has a function room that can be booked, it has an outside area. Rockafellas has DJ's. The pub has karaoke, it has live music events. Rockafellas has a big screen. The pub shows football on TV, it has Sky Sports. Rockafellas has terrestrial TV. New Inn in Corby has accommodation. The pub has a car park, it has an outside area. New Inn has a smoking area. The pub has free WiFi, it has a pool table. New Inn has a big screen. The pub shows football on TV, it has terrestrial TV. White Hart in Corby has a car park. The pub has an outside area, it has free WiFi. White Hart has a dart board. The pub has a pool table, it has a big screen. White Hart shows football on TV. The pub has terrestrial TV. 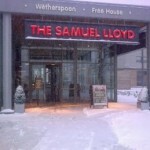 Samuel Lloyd in Corby has disabled facilities. The pub is a family friendly pub, it serves food. Samuel Lloyd serves real ale. The pub has free WiFi, it is a member of Cask Marque. 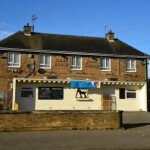 Corby Trades & Labour Club in Corby has a function room that can be booked. The pub has a dart board, it has DJ's. Corby Trades & Labour Club has karaoke. The pub has live music events, it has a pool table. Corby Trades & Labour Club holds quiz nights. The pub shows football on TV, it has terrestrial TV. 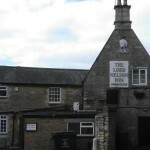 Saxon Crown in Corby has accommodation. The pub has a beer garden, it has disabled facilities. Saxon Crown is a family friendly pub. The pub serves food, it serves real ale. Saxon Crown has a real fire. The pub has free WiFi, it is a member of Cask Marque. Everard Arms in Corby has a beer garden. The pub has a car park, it has disabled facilities. Everard Arms is a family friendly pub. The pub serves food, it has a function room that can be booked. Everard Arms has an outside area. The pub serves real ale, it has a real fire. 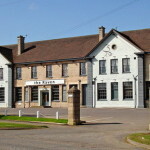 Raven Hotel in Corby has accommodation. The pub has a beer garden, it has a car park. Raven Hotel is a family friendly pub. The pub serves food, it has an outside area. Raven Hotel serves real ale. The pub has free WiFi, it shows football on TV. Raven Hotel has Sky Sports. The pub has terrestrial TV, it is a member of Cask Marque. Our Lady's Catholic S.c. Corb in Corby has a beer garden. The pub has a function room that can be booked, it has an outside area. Our Lady's Catholic S.c. Corb has a dart board. The pub has live music events, it has a pool table. Our Lady's Catholic S.c. Corb holds quiz nights. The pub has a big screen, it shows football on TV. Our Lady's Catholic S.c. Corb has Sky Sports. The pub has terrestrial TV. Corby Candle in Corby shows football on TV. The pub has Sky Sports, it has terrestrial TV. Grampian in Kingswood has a beer garden. The pub has a function room that can be booked, it has an outside area. Grampian shows live comedy. The pub has a dart board, it has DJ's. Grampian has karaoke. The pub has live music events, it holds Poker Nights. Grampian has a pool table. The pub holds quiz nights, it has a big screen. Grampian shows football on TV. The pub has Sky Sports, it has terrestrial TV. Shirehorse in Rowlett has a beer garden. The pub has a car park, it is a family friendly pub. Shirehorse serves food. The pub has a function room that can be booked, it has an outside area. Shirehorse serves real ale. The pub has free WiFi, it has a dart board. Shirehorse has live music events. The pub has a pool table, it holds quiz nights. Shirehorse has a big screen. The pub shows football on TV, it has terrestrial TV. Shirehorse is a member of the BII. Lord Nelson Inn in Stanion has a beer garden. The pub has a car park, it has disabled facilities. Lord Nelson Inn gives a warm welcome to dogs and their owners. The pub is a family friendly pub, it serves real ale. Lord Nelson Inn has a real fire. The pub has a smoking area, it has free WiFi. Lord Nelson Inn has a dart board. The pub has live music events, it has a pool table. Lord Nelson Inn has BT Sport. The pub shows football on TV, it has Sky Sports. Chequered Flag in Corby has a beer garden. The pub has a car park, it has disabled facilities. Chequered Flag is a family friendly pub. The pub serves food, it serves real ale. Chequered Flag has a pool table. The pub is a member of Cask Marque.